Alta Fog Light Bar MINI - Dezod Motorsports Inc - Home of the automotive performance enthusiast since 2002. While this product was inspired by Classic rally and Classic CooperSport Mini’s from many years ago it has become a wonderful addition to street driven modern MINI’s! ALTA created our initial version many years ago and this is our latest and greatest. Combining improved mounting, light adjustability and construction hasn’t forced a change in that wonderful improvement to the look of the MINI, nor hindered the improvements in lighting! The ALTA light bar places four auxiliary fog/driving lights in front of the lower grille. The low mounting height and decreased angle of attack, increases beam penetration and looks great. The aluminum front plate is contoured to the arch of the front bumper for a perfect fit. The mounting brackets are made entirely of cold rolled steel for a solid, vibration free foundation. All components are given a protective texture black powder coating for durability and corrosion resistance. 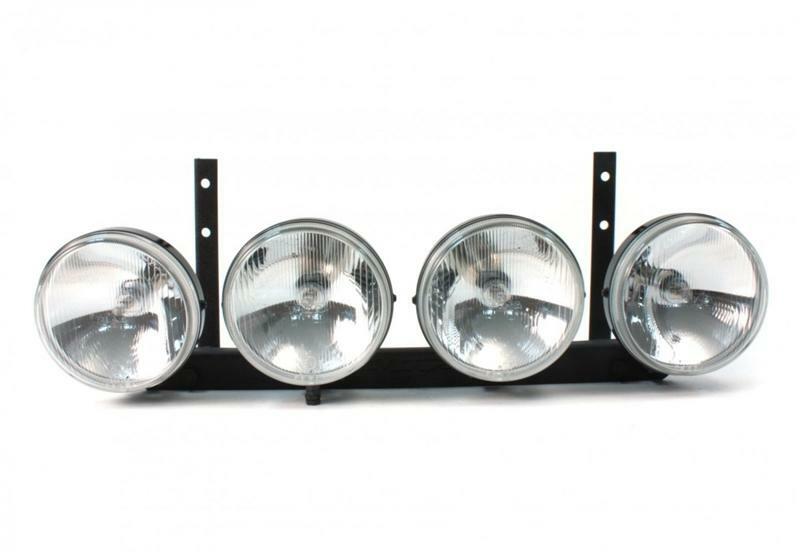 The ALTA Rally Light bar easily mounts directly to the metal bumper support beam. NO vibrations, NO bounce, NO jiggle. Once installed the front bumper and light bar can easily be removed as one piece, easing access for future engine service and repair. The mounting brackets install discreetly behind the bumper skin with just two small tubes coming forward. Two small holes are drilled into the plastic mesh material, making removal in the future easy and without leaving any evidence. Many MINI owners choose to upgrade their cars, and this ease of mounting allows you to take your investment in lighting performance with you! You can order just a Light Bar without lamps and source them yourself, or take advantage of our pre-bundled pricing on kits! 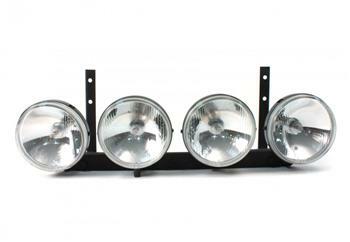 The ALTA Rally Light bar kit INCLUDES (4) 6” inch PIAA 40 Series Driving lights. PIAA 40 Series lamps feature prism cut glass lens for optimum clarity, stamped steel corrosion resistant housing, and powerful 55 watt H3 bulbs. A complete wiring harness is also included with easy push button activation, heavy duty relays and weather resistant connections.